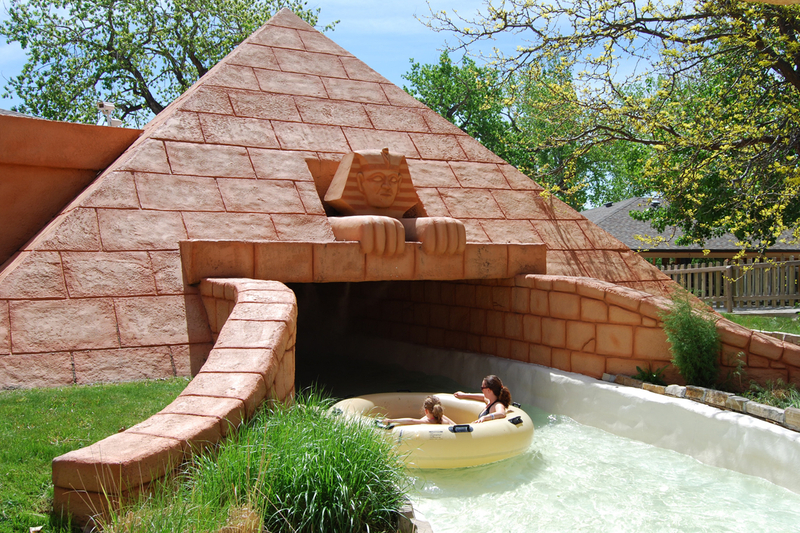 Lost River of the Pharaohs and Voyage to the Center of the Earth, both raft rides at Water World waterpark in Federal Heights, Colorado (near Denver) have thrilled guests year after year since the early 1990s. When the park decided to refresh these two popular attractions, a theatrical approach to lighting was part of the vision and Gantom products were part of the solution. Located on 70 acres, Water World is one of the largest waterparks in the US. It’s been owned and operated by the Hyland Hills Park and Recreation District since 1979. Water World is considered the most successful municipal waterpark operation in the country and its guest experiences are characterized by a storytelling sensibility realized through theming and technology. The idea for “Voyage” and “Pharoahs” began with Greg Mastriona, Water World’s Executive Director at that time. Inspired by classic storytelling rides at Disneyland and Universal Studios, and their level of detail, in 1990 Mastriona spearheaded construction of “Pharoahs,” followed by “Voyage” in 1993. These family-oriented raft rides use circular rafts that hold 3-4 people and float through a trough, sometimes rapidly and other times slowly. During the slower segments riders travel through highly themed environments. Hyland District Engineer Harlan Bryant learned about Gantom at the IAAPA Attractions Expo and was drawn to the company’s signature small, compact LED fixtures. “We knew we wanted to switch to LED fixtures, and Gantom’s Precision Z Spotlight series fit the size and cost profile we had established,” Bryant said. The Precision Z series features a 1-watt LED lamp, and provides a 95% energy savings compared to a 20W halogen lamp. The fixture’s sealed aluminum chassis also serves as a rugged shell to protect the LED and core electronics in outdoor and underwater applications. Water World wasn’t planning to submerge lights, but the underwater rating provided the assurance that the lamps would function in the water ride’s high humidity environment. “Additionally, the small fixture size allowed us to hide the lights behind scenery, rather than hang them from ceiling racks 16 feet above the ride,” said Bryant. This provided staff electricians much easier access to the lights and has reduced maintenance costs. 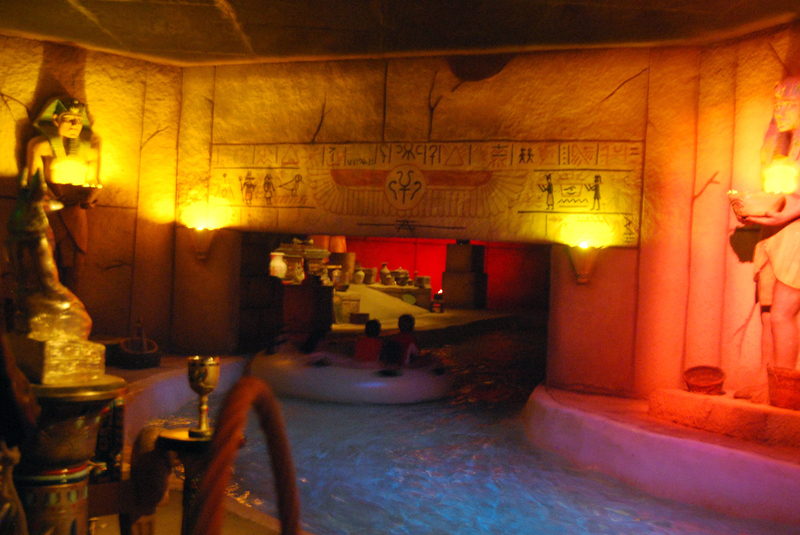 For one important scene in “Pharoahs,” the park did opt to use a separate controller for the Gantom lights. 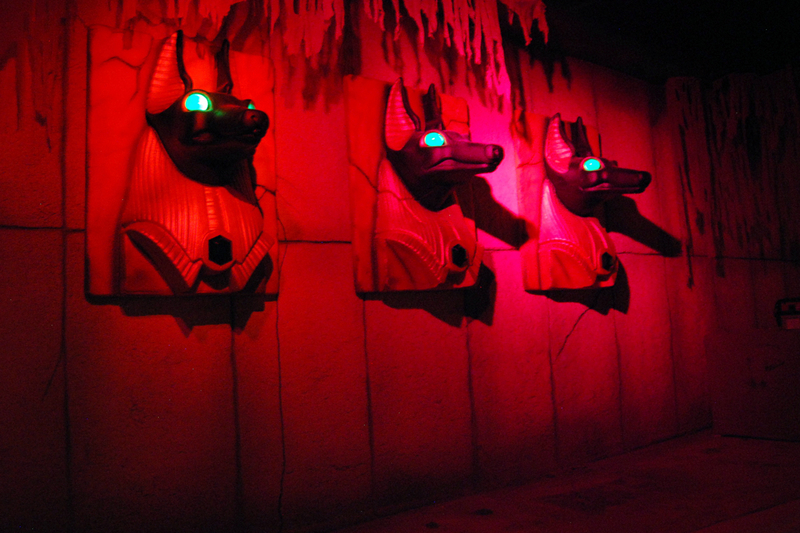 Guests travel into a throne room guarded by an Egyptian Anubis. The original attraction had faux candles with yellow bulbs placed around the room. Mastriona had wanted to simulate the flicker of candlelight, but at that time, the precise effect was not within reach due to limits of budget and technology. When it came time to refurbish the attraction, Gantom had a solution. 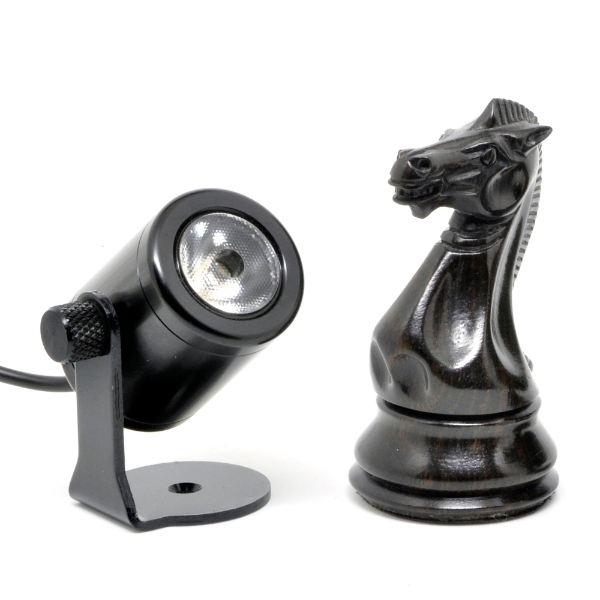 Their Precision Z series lights, connected to Gantom’s DarkBox Flicker controller, use variable voltage to dim the fixtures to create a realistic candlelight glow and flicker. According to Water World’s Communications Director Joann Cortéz, many guests think the candles are real and try to extinguish them by splashing water on them. The robust lights, all rated for outdoor use, have stood up to the daily dousing. The team started their collaboration with Gantom by replacing lighting on a lava tube effect in “Voyage.” They also installed a series of Gantom UV Precision Z Spotlights to illuminate the glowing ribcage of a dinosaur skeleton and mysterious eyeballs lurking in the back of caves. 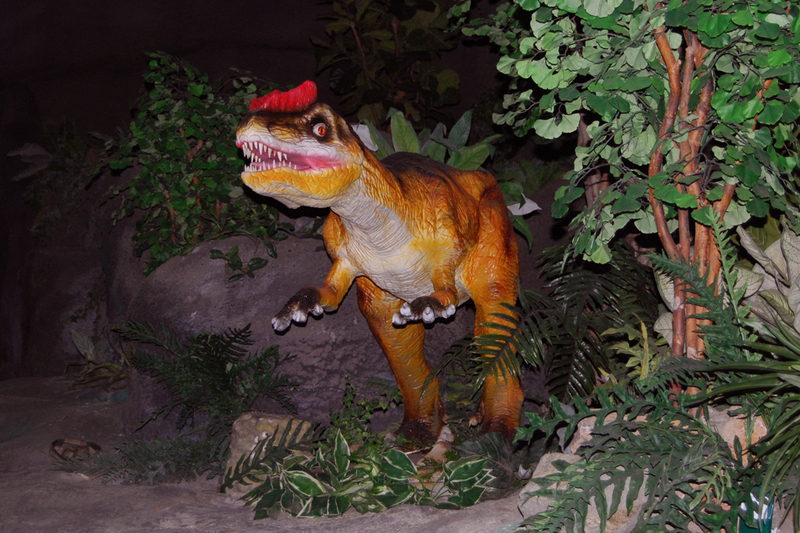 In addition to replacing existing light sources, Gantom supplied fixtures for new effects in the attractions, including mummies reaching out for guests lit with eerie blue-green lights, illuminating refurbished dinosaurs, and making treasure glitter. “We like to make a few changes each year so our guests notice,” explained Cortéz. The refurbishment process has continued since 2011 and has included the work of other notable industry creative companies such as R & R Creative Amusement Design and Distortions Unlimited. •	Colorado Community Media honored Hyland Hills with its 2015 “Best of the Best” award and singled out Water World for its swimming pool, annual belly flop contest, funnel cakes and gift shop.